I first encountered Douglas Adams’ Hitchhiker’s Guide to the Galaxy book series in 1985. I’d caught glimpses of the tatty-yet-much-loved BBC television series from 1981 on my local PBS station, and that sent me to the bookstore to find out what the heck this British science fiction comedy was all about. Over the summer of 1985 I tore through the paperback versions of the first three volumes in the series. (At that point I didn’t know that Adams had been script editor for another of my BBC-to-PBS favorites, Tom Baker-era Doctor Who, nor that he’d written three serials for the series.) To be sure, 10-year-old me didn’t get nearly all the jokes, nor the series’ arch tone of dissatisfaction with Earthly life at the end of the 1970s, but the experience definitely planted some seeds of a kind of philosophical awareness of the world around me that would serve me well as I entered adolescence. This somewhat discursive prelude is actually all in aid of explaining how I got my first IBM-compatible PC. Stay with me here. I was still chugging along at this point with my Texas Instruments workhorse, but even with tons of User Group-provided software on cassette tape, the old TI/99-4A was beginning to seem a little long in the tooth. I must have checked out some computer magazines at the bookstore when I got those copies of the Hitchhiker’s paperbacks, because I found out that a game company had recently released a computer game version of Hitchhiker’s. I needed to have it. But upon further frantic research, it became clear that the game would not be available for the TI, or at least not my TI. I would need a floppy disk drive peripheral to play it, I found out. The exigencies of the computer software market would, for the first but far from the last time, demand that I upgrade my computer to play a hot new game. So, in late 1985, I got an IBM-compatible PC with an intimidating, heavy-latched 5¼-inch floppy disk drive. Putting a disk into the drive and then flipping down the latch felt something like locking in a nuclear launch procedure from inside a silo. Up to this point I’d only seen floppy disks in movies like WarGames (speaking of nuclear launch procedures): to me, this was the highest of high-tech. And it did open up a world of new games and other software for me (this was the beginning of the end for my electric typewriter, and my introduction to word processors, for example). Suddenly, the computer software stores that were popping up in great profusion across Boston’s North Shore were open to me. The games were a fair bit more expensive than the mail-order cassettes I’d been getting for my TI, but the PC experience overall felt more mature, more adult somehow. And yes, I finally got Hitchhiker’s Guide. And it was utterly impossible. Back cover of The Hitchhiker’s Guide to the Galaxy game box, Infocom, 1984, showing off the package’s various “Feelies.” Photo found at The Infocom Gallery. First of all, Hitchhiker’s was actually my own very first encounter with text-based interactive fiction. This format of game, exemplified by early mainframe-based games like Colossal Cave Adventure, was developed further by the minds that would eventually start Infocom at MIT in the late ’70s. The Infocom “Implementors” took interactive fiction out of university computer labs and into living rooms at the dawn of the 1980s. 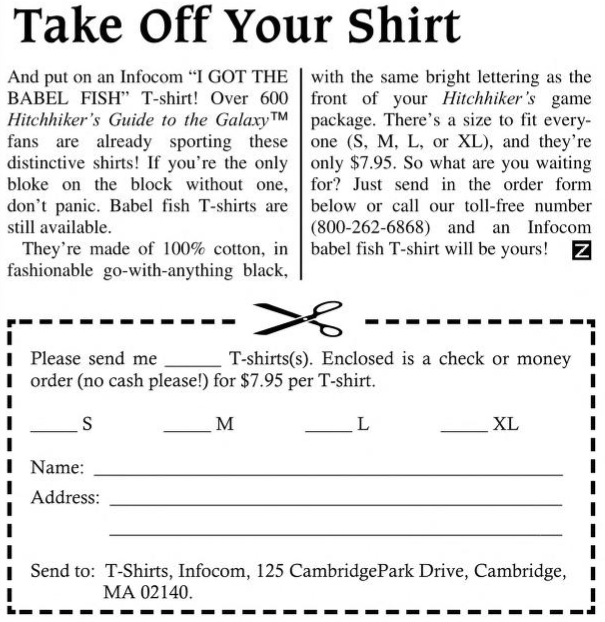 Their “local-boys-made-good” success made Infocom one of the signal achievements of Massachusetts’s own “miraculous” local computer industry. Infocom’s games were witty, densely-packed with in-jokes, and devilishly difficult. The tales of the Hitchhiker’s Guide game’s development mostly focus on Adams’ inability to meet a deadline, but there was also a sadistic edge to the puzzles designed by Implementor Steve Meretzky. Most notable of these was the multipart geometric nightmare that was obtaining the Babel Fish while on the Vogon ship. 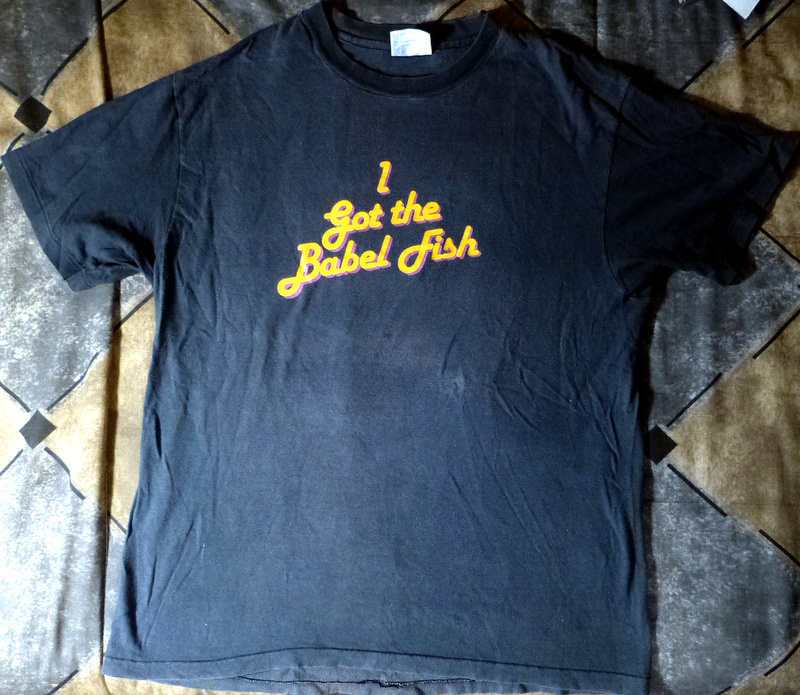 So punishingly difficult that Infocom even issued a celebratory t-shirt for those who managed to figure it out, the Babel Fish portion of Hitchhiker’s Guide arrested my own forward progress in the game to such an extent that I might have dropped it and never given another Infocom game a chance again. But being impenetrably obscure was never Infocom’s real intent, in-jokes and devious puzzles aside.The legendary difficulty of the company’s games was balanced by a profound attention to approachability, and nowhere was this more evident than in the array of physical artifacts that accompanied them. Called “feelies,” these objects ranged from real metal coins to full-color comics to scratch-n-sniff cards inspired by John Waters’ 1981 “Odorama” opus Polyester. Feelies might have been nothing novel in an era when computer games were often packaged with extras such as extravagant cloth maps (to be fair, the primitive video and computer game graphics of the era often needed a little extra push to help the player visualize these distant fantastic worlds). 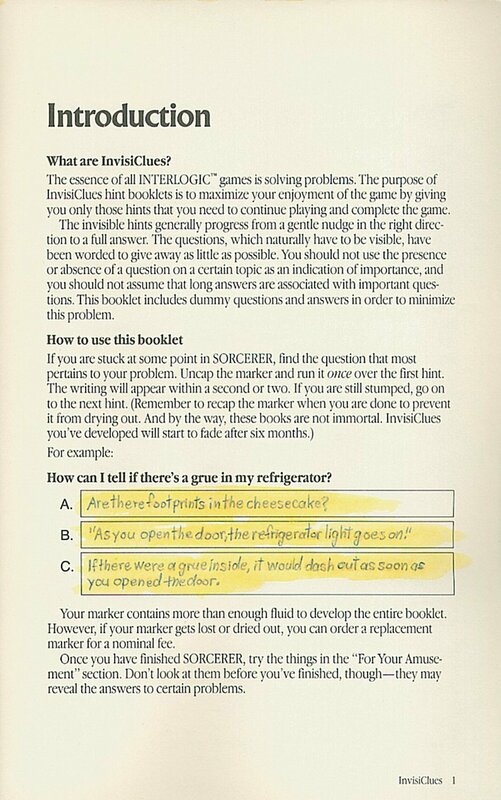 And past the Infocom feelies was another great contribution to aiding players: Invisiclues. Invisiclues used the same yellow highlighter/invisible ink method as another standby of my childhood, Yes & Know quiz books. The gimmick of Invisiclues was that, unlike other hint books on the market, you could elect to only reveal the clues relevant to where you were stuck. 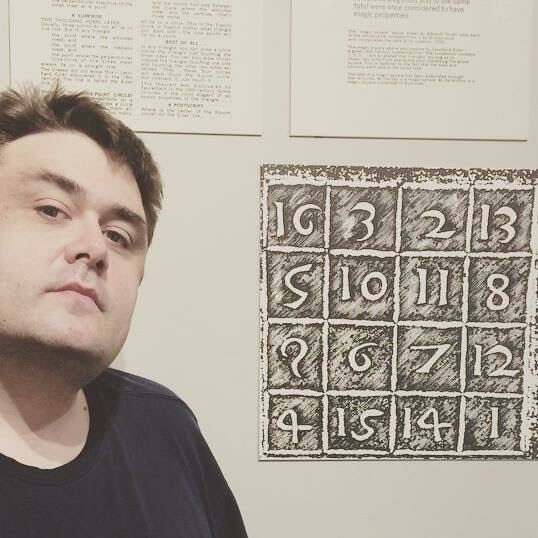 Moreover, the clues themselves were revealed in a series of lines, gradually giving you more and more information, so you could obtain a level of help commensurate with your own ability to solve the puzzle independently. Personally, I doused the Babel Fish page with the yellow highlighter, but I ended up seeing the appeal of this modular hint system for the many, many other Infocom games I’d soon be purchasing. Invisiclues allowed you to learn how to learn; their design was pedagogical! The Invisiclues helped me understand the Infocom house style intimately; those in-jokes and Infocom’s trademark puzzle style were suddenly no longer opaque to me! Maps are important, the Invisiclues insisted, and so I began to make my own maps (as if nerdy 11-year-old me needed any encouragement at all to break out the quadrille paper and sketch maps). Over the next few years, thanks to the occasional (okay, more than just occasional) help of Invisiclues, I would blow through the Zork Trilogy boxed set (released in 1986), got Adams’ 1987 followup to Hitchhiker’s Guide, Bureaucracy. The absurdity of the latter—equal parts Terry Gilliam’s Brazil and that inimitable Infocom house style—appealed to me greatly since I’d just started getting into Monty Python’s Flying Circus, which had just begun airing on MTV at really the perfect time in my life: my two years of junior high (oh yes, Adams was also a sometime writer and performer for Python during their final, abridged 1974 series). Infocom games with much more subtlety, such as Trinity and A Mind Forever Voyaging, challenged my ability to conceive of big-picture issues such as nuclear war and the impact of Reaganite politics on the social fabric of America. Infocom games were absolutely some of my own childhood’s most important moral instructors; whereas past generations of tweens and teens might have had science fiction, in literary and visual form, to give them a more fully adult sense of the world around them, the forever-branching narratives of Infocom’s interactive fiction were my guide, and, I’d wager, a lot of other late Gen-X’ers’ as well. I came into my Infocom fandom just as the company was releasing some of its most ambitious games. And I called myself a fan, even at that early age, because Infocom’s unique combination of obscurity and approachability really inculcated a sense of devotion. In an era of outsized tech “personalities” like the one we live in today, it’s very easy to forget that for most of us, in those early years, computer and video games came to us with very little sense of the people who were behind them. 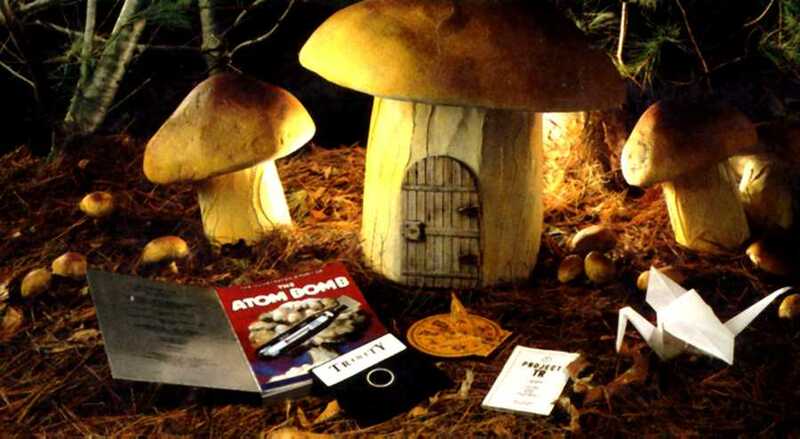 But Infocom even defied that conventional wisdom, keeping its devoted fans up to date on in-office product development and happenings with a newsletter, called The New Zork Times. (I highly advise going to the Internet Archive and breezing through the entire archive, by the way. They are a beautiful time capsule of the 1980s computer entertainment industry in a lot of ways.) In the pages of The New Zork Times were announcements on upcoming games, a fan mail bag, even detailed accounts of the Infocom softball team’s travails on the diamond. (Oh, that reminds me incidentally of one of the most poorly-reviewed puzzles Infocom ever put in a game, the baseball-based Oddly-Angled Rooms puzzle in Zork II; non-American fans were furious that a knowledge of baseball was required to solve it.) In any event, The New Zork Times put Infocom’s Implementors and office workers into the real world. They were no longer Olympian gods, distant from the madding crowd. They had an address, and it was right down the street from me in Cambridge, Massachusetts! The sad thing is, the company itself at this very same time was beginning to fall apart. On the cover of The New Zork Times from early 1985 looms an ominous signpost, more unnerving than any mushroom cloud out of Trinity or Flood Control Dam #3 from the original Zork. It was Infocom’s attempt to break into the “serious” market of office products, a database program called Cornerstone. Cornerstone’s design was then and is now recognized as a groundbreaker in terms of office database software. But its use of a virtual machine, a boon in the entertainment market where Infocom could release versions of its games on all the myriad computer platforms of the early 1980s, slowed Cornerstone to a crawl on most platforms. Moreover, businesses had de facto settled on the IBM PC platform using MS-DOS as industry standard, so the virtual machine didn’t even end up being essential to the software’s success. This stunning flop left Infocom gasping for capital, and the company was purchased by the massive Activision (who’d made their bones in Atari cartridges back in the early 1980s) in the middle of 1986. 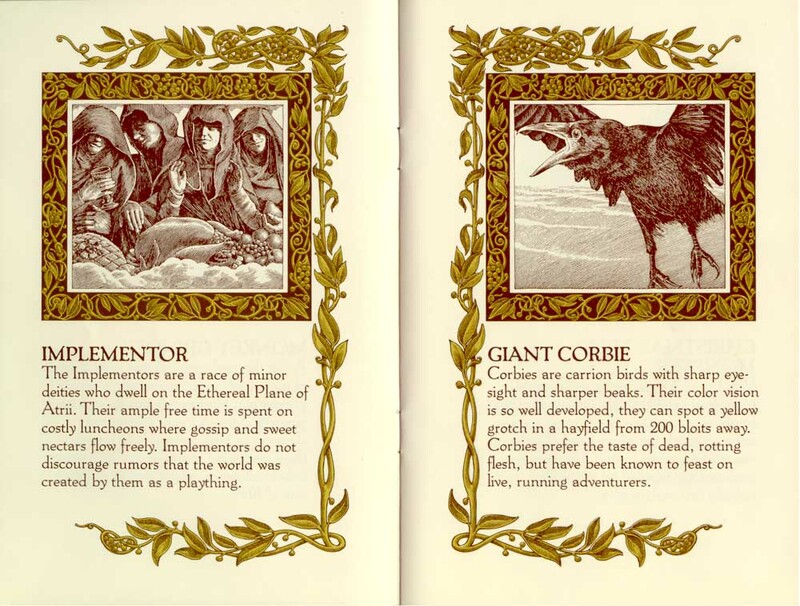 Further advances in game graphics also left Infocom running to catch up; the text adventure game was increasingly supplanted by point-and-click style games in the late 1980s. Infocom would become a shell of its former self by the time I was in high school in 1989; during the company’s brief yet brilliant flowering, I was the perfect age to experience (for the second time in my life) the profound disappointment of market forces taking something very precious and special and unique from me. 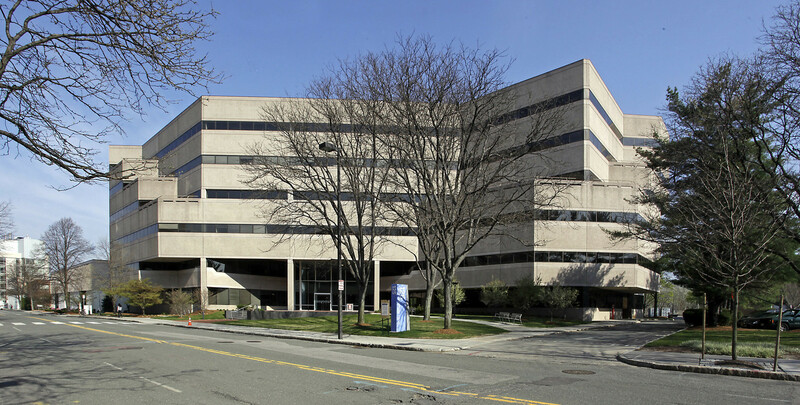 Infocom’s mid-1980s headquarters in Cambridge, Mass., as it appears today. I want to end this recollection, though, with an anecdote about how special Infocom truly was. As I mentioned above, its headquarters throughout this period was about 15 minutes’ drive from my childhood home in Cambridge, Massachusetts. Sometime in 1986, I’d purchased an Infocom game—my rusty memory tells me it was the nuclear war parable Trinity, but I most definitely could be wrong—that came with a defective game disk. No matter what I did, I couldn’t get the thing to run. My dad and I had considered just taking it back to the store, but I said, wait a minute, the people who made it are just down the street. I bet we could take it there and get a replacement disk, no problem! My precocity and my dad’s perpetual inability to be flustered by any social situation served us in good stead, as, one summer afternoon, we just popped in at 125 Cambridge Park Drive. These were the new Infocom offices, after the company moved from its original, more humble digs on Wheeler Street, and it showed. My faint memory recalls the lobby as a classic of mid-’80s design: lots of burnished wood surfaces and beige carpets. We asked whomever was at the front desk if we could get a replacement disk for IBM-PC, and I recall (again, this could definitely be confabulated) that right off of the lobby there was a heated meeting happening with lots of folks in suits and polo shirts—possibly to do with the ongoing Activision merger? In any event, in a matter of minutes we had our replacement disk and were back on the road. I didn’t get a tour, I didn’t get to peek behind the scenes, but knowing that the folks who were behind my favorite computer games were real, were friendly, were willing to make a customer’s travails right with no fuss—honestly, that was treat enough. I had gotten a peek at the Implementors in their Olympian halls, and it’s a memory I still treasure over 30 years later. 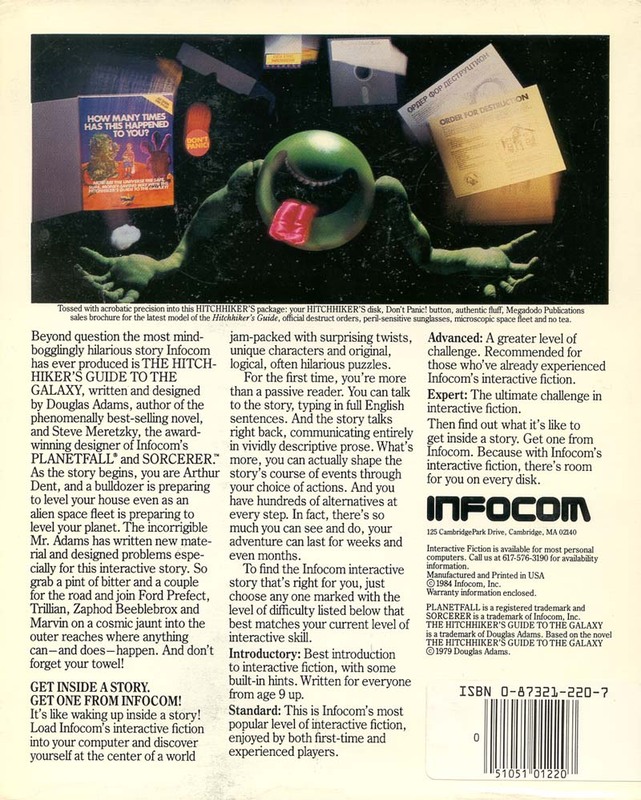 If you’d like to get far more detail about the sprawling history of Infocom than I was able to share in these very personal recollections, point your browser to the Infocom tag at the Digital Antiquarian blog by Jimmy Maher.